Following the success of the first year in Scotland, Handmade Edinburgh will be returning to the Royal Mile in October 2017! 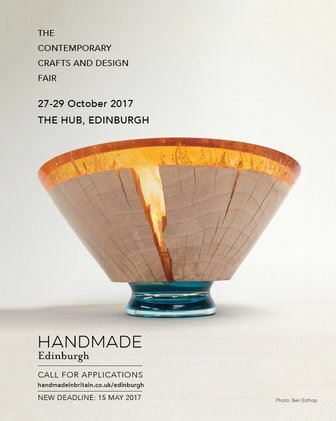 Bringing together the most exciting contemporary designer/makers from Scotland and beyond, Handmade Edinburgh celebrates the very best in contemporary craft and design. It’s a fabulous opportunity to shop for gorgeous textiles, jewellery, ceramics, glass, furniture and more from our handpicked selection of designer-makers! Makers will be on hand throughout the weekend to talk about their work and showcase their collections. Tickets go on sale summer 2017. Get these dates in your diary: 27 – 29 October 2017!